When you have newly diagnosed celiac disease or gluten sensitivity and must adopt the gluten-free diet, the simplest and healthiest approach is to start with fresh, naturally gluten-free foods. If you have been diagnosed with celiac disease, this will help your body replenish the vitamins and minerals you may not have been absorbing before your condition was known. For both those with celiac disease and gluten intolerance, this early diet will help eliminate symptoms and restore good health. Start with plain meats, poultry, fish, vegetables, eggs, fruit, rice, quinoa, legumes and nuts. None of these contain wheat, barley or rye, and you don’t have to be a label expert to figure out that they are gluten free. Oats are not considered safe on the gluten-free diet unless they are specialty gluten-free oats, with a label that indicates they are gluten free. You’ll find more information about the basic diet here. Initially those who have celiac disease are likely to be lactose intolerant, ruling out some dairy products, but soon you’ll be able to include most milk, cheese and yogurt. And if you have gluten intolerance you should be able to include gluten-free dairy products sooner. At the start, you can rely on the many foods that are now labeled gluten free, especially if they have been certified by a reliable group like the Gluten Free Certification Organization. Although these foods are processed, they will make it easier for you to stick with your gluten-free diet by providing everyday options like bread, lunch meat, pasta, rolls, cereal, waffles, crackers, pretzels, granola bars and many more. Once you see the gluten-free label, you’ll know no wheat, barley, rye or contaminated oats have been used. This will simplify label reading, which will eventually become part of your gluten-free life, until you have mastered the list of ingredients that are safe, questionable and prohibited. We have details about ingredients here. Cookies, cake, pizza and other goodies also come in gluten-free versions. Just keep in mind that just because these are gluten free does not mean they are good for you. Save them for the occasional treats. Gluten-free apps for shopping also make it much easier to find reliably gluten-free products on store shelves. A recent survey showed that one in three supermarket shoppers now uses a smartphone app to look up recipes and allergen and nutritional information, find coupons or check out the prices of products at competing stores. When you are new to the gluten-free diet, an app can be a big help. We have a list of some of the best apps here. Many food stores have a special section set aside for gluten-free items, but some spread them throughout the aisles. It’s worth a quick stop at a store’s customer service desk to find out what the policy is and whether they offer a list of gluten-free items. You can sometimes find this same information on the store’s website. If your grocery or supermarket lacks a great variety of gluten-free items, visit your local health food store or natural products market. You can also order gluten-free foods online through company websites as well as Amazon. Of course, shopping is only the prelude to preparing meals. Before you start cooking, you’ll have to deal with cross-contamination risks in your kitchen. Some households go completely gluten free, while others take the steps needed to keep gluten-free and gluten-containing foods completely separate. This is a personal decision. But either way, initially you’ll need to make sure you don’t have crumbs from gluten-containing foods anywhere that they might get into your gluten-free items. The toaster and any jar that has been dipped into is likely cross-contaminated. Many people choose to purchase a separate toaster dedicated to gluten-free items. Others use a toaster oven that they keep scrupulously free of crumbs. Some people purchase new jars of condiments like mayonnaise and items like peanut butter and jam and designate them for gluten-free use only. Others adopt a no-double-dipping rule. That means gluten-eating family members scoop out enough peanut butter, for example, on the first dip and never put the knife or spoon back in the jar. You will probably want to purchase a colander that will be used only for gluten-free foods. Some families also purchase dedicated cooking utensils, pots and baking sheets, though very thorough cleaning should be sufficient. Wood cutting boards that have been used for gluten-containing foods are hard to get completely clean so it’s a good idea to start with a new gluten-free cutting board. Remember not to share spoons, spatulas and knives between gluten-containing and gluten-free foods. At first this will seem cumbersome, but if you have a shared kitchen, it will eventually be second nature to have and use separate utensils. Once your kitchen is in shape, you can start to purchase and use the many gluten-free flours and baking mixes that are now available. Gluten-free flour is ground from gluten-free grains, including quinoa, rice, sorghum, amaranth, millet, teff and corn in all forms (corn flour, cornmeal, grits, etc.). You’ll find an overview of these grains here. Gluten-free recipes are widely available in cookbooks and online. Many companies that produce gluten-free products include recipes on their websites, and numerous gluten-free bloggers post recipes daily. 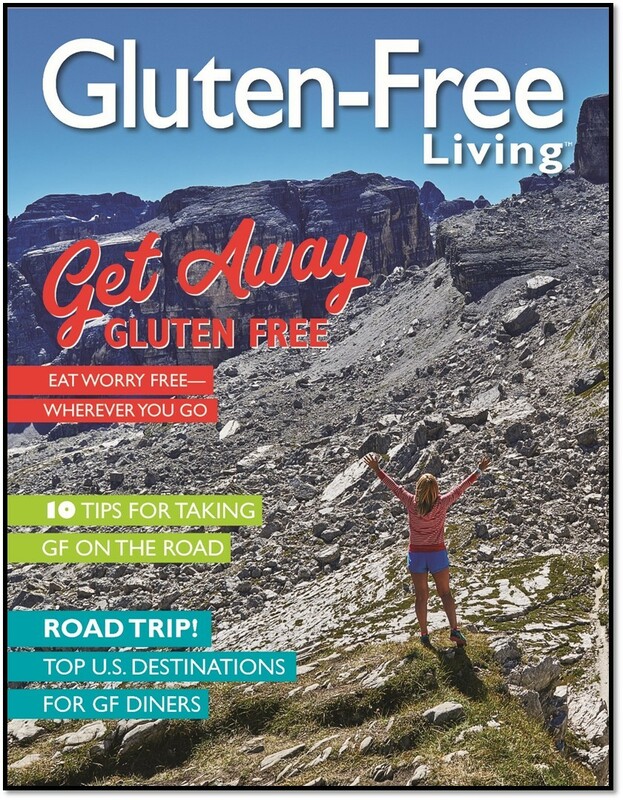 Gluten-Free Living features recipes in every issue and we have a selection here. Some of your own recipes may already be gluten-free or easily converted to being gluten-free by the simple substitution of an ingredient. For example, if a recipe calls for soy sauce, which usually contains wheat, you can just use specialty gluten-free soy sauce instead. It’s trickier to convert from wheat flour to gluten-free flour, but many premade flour or baking mixes work well. Dining away from home is one of the more challenging aspects of the gluten-free diet especially when you are newly diagnosed. We have a whole section on that topic here. While the gluten-free diet is currently the only treatment for celiac disease and gluten intolerance, food is not the only issue when you are newly diagnosed. You may feel a little lost, isolated and worried. You may be looking for others to talk to about contending with being gluten free. You’ll want to keep up-to-date on the latest medical and labeling news. A support group is a good place to find all these things, and we have a list of national groups with local branches here. If you can’t connect with a support group, you can find information and make connections online. There are a number of gluten-free social networking sites and social media offers significant awareness and support. Many Facebook pages are dedicated to the gluten-free lifestyle. On Twitter you’ll find individuals and organizations who post information. A quick search of the key words “celiac” or “gluten free” will provide you with an extensive list. You can find Gluten-Free Living on Facebook and on Twitter as @gfliving. 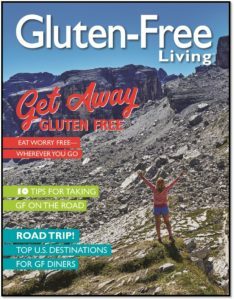 Gluten-Free Living magazine is another great resource for the latest news and information on medical topics, research, labeling, ingredients, plus features and recipes. 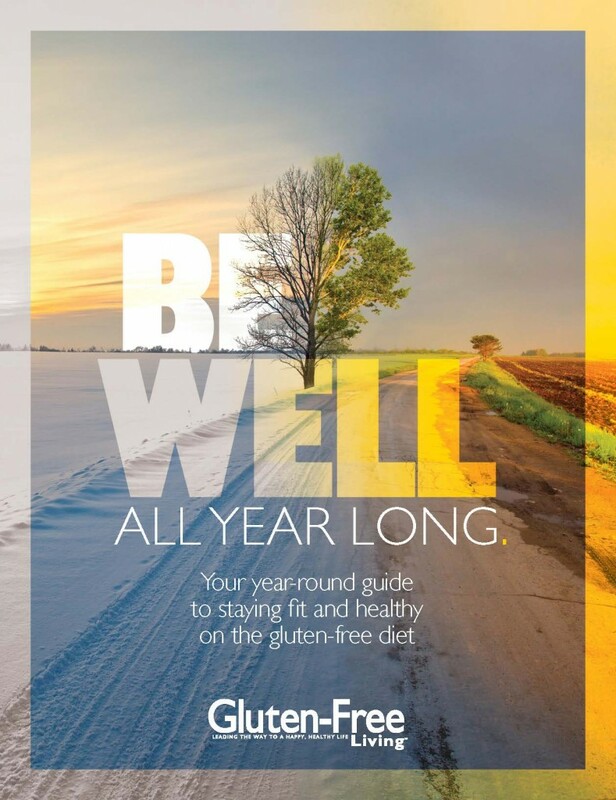 We have been publishing for nearly 20 years and are considered the most respected source on the gluten-free diet and lifestyle according to a recent reader survey. You can subscribe here. Anytime you are new to something, you face challenges. But the gluten-free diet and lifestyle will get easier as you go along. Stick to simple things at first. Give yourself time to build confidence in your food selections and knowledge of how the diet works. Enjoy the healing that will occur if you are following the diet properly. If you suffered any of the many symptoms of celiac disease or gluten intolerance, you may soon count yourself among those who consider their diagnosis and treatment with the gluten-free diet one of the best things that ever happened.